I first visited here many years ago for a photography class field trip. There are so many things to see that I've been back many times since. The photography can be as easy or as challenging as you want. Photo: Bell tower and part of the church exterior on the right. Mision La Purisima Concepcion De Maria Santisima (Mission of the Immaculate Conception of Most Holy Mary) was founded on December 8, 1787 about 4 miles from its current location. Photo: Another view of the current grounds. This is a beautiful area. La Purisima is the eleventh of the twenty-one Spanish Missions in California. 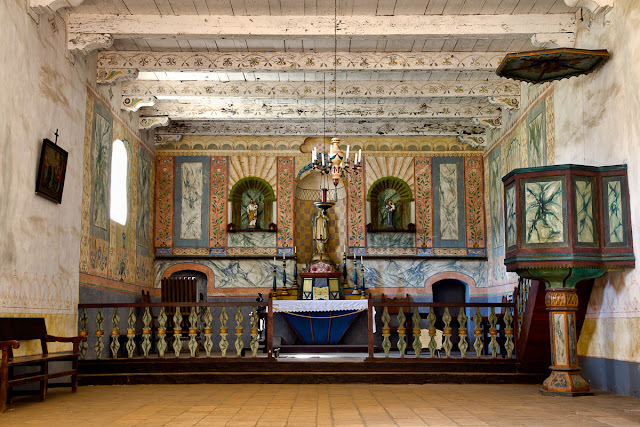 On December 21, 1812, a major earthquake destroyed several of the original mission buildings and the mission was moved and rebuilt in its current location. In 1834, control of the missions was transferred from the Catholic Church to civil authorities and into private ownership. Over the next 100 years, the buildings deteriorated badly. 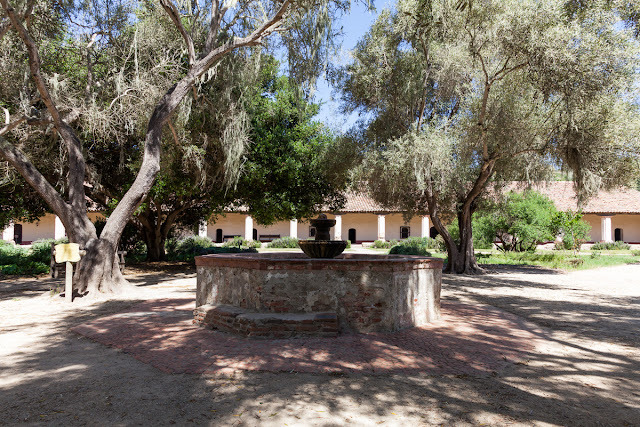 In 1934, Union Oil gave the property that became the State Historic Park to the State of California. 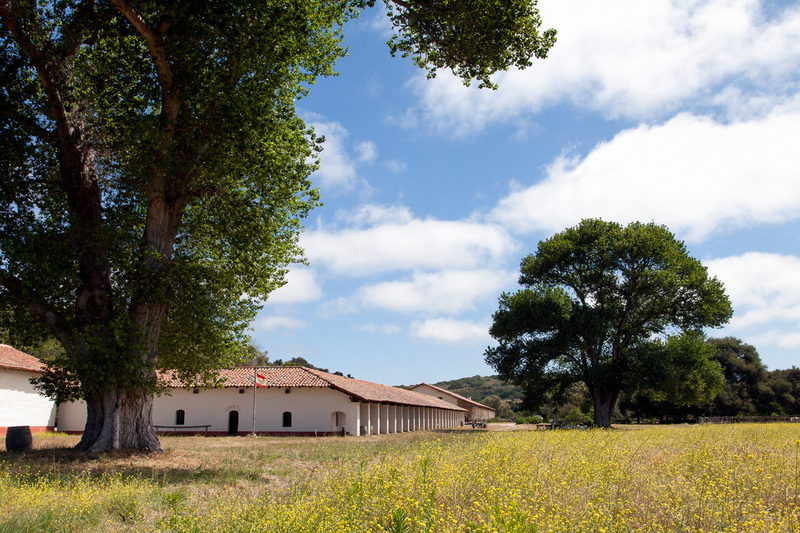 The California Conservation Corp then began reconstruction of several buildings, furniture and fixtures making La Purisima Mission the most completely restored mission in California. A closer view of the church altar. El Camino Real - The Royal Road. 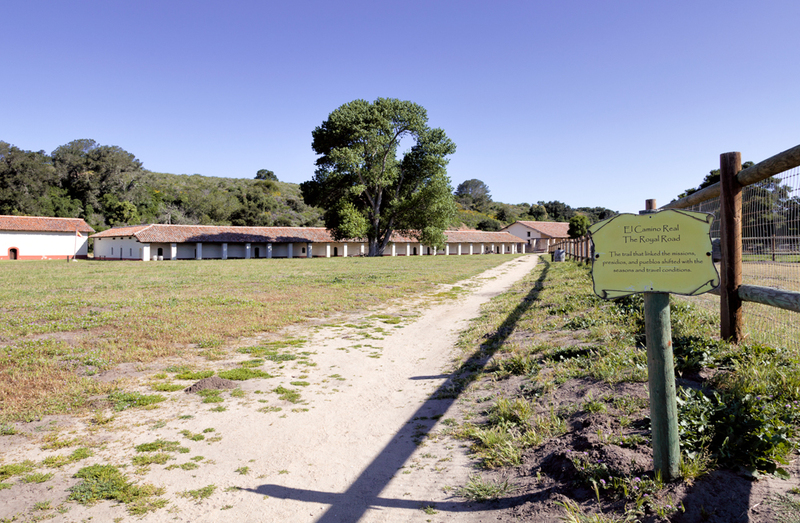 The road connecting the 21 Spanish Mission in California. 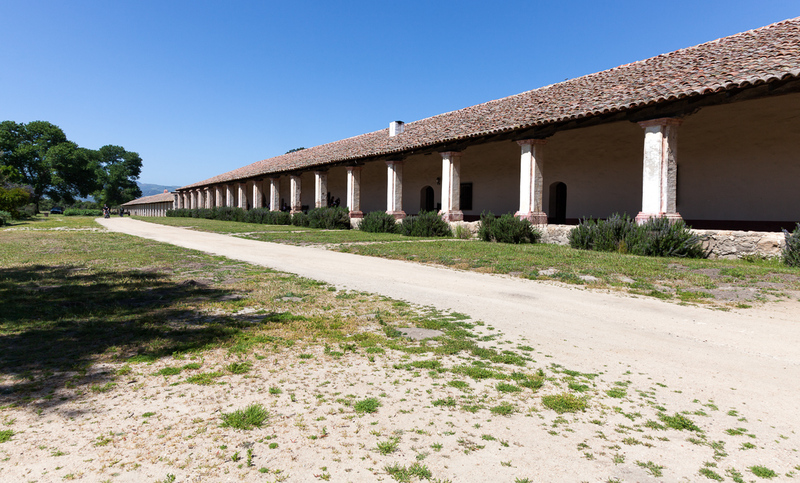 Two of the huge buildings, each with several furnished rooms including living quarters, tack shop, weaving room, blacksmith, etc. 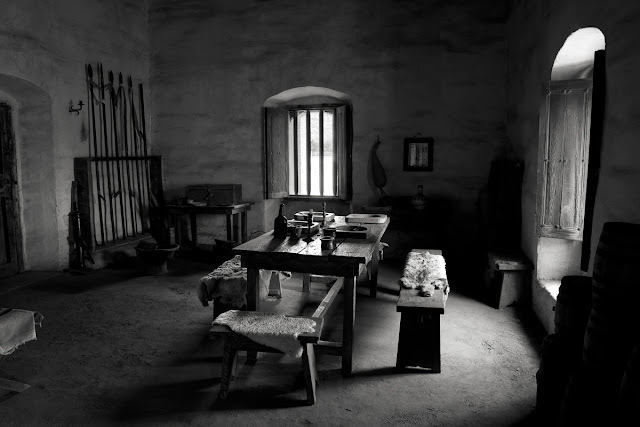 all furnished as they would have been in the 1820's. 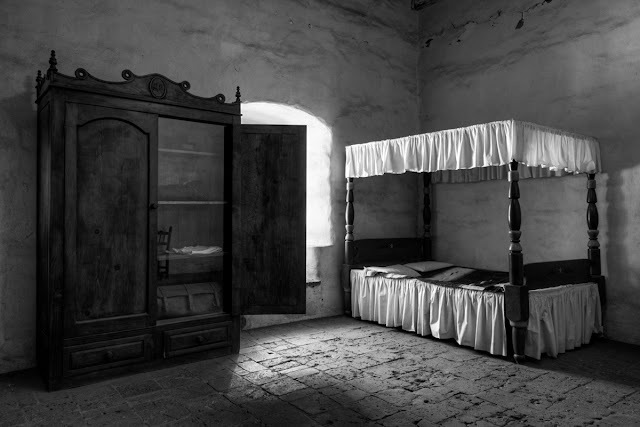 Some of the rooms can be entered, others entered only partially or viewed through windows. 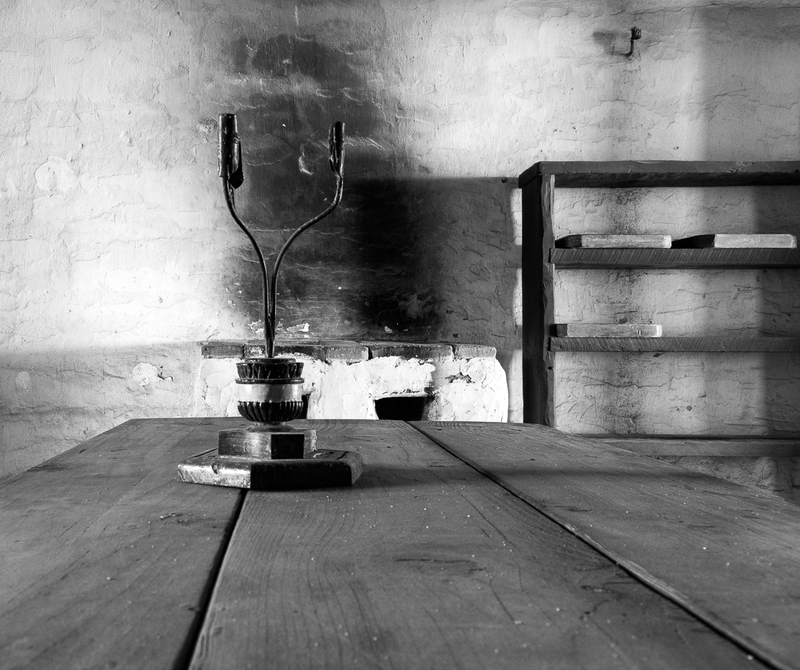 Candle holder on a wood table in one of the rooms. 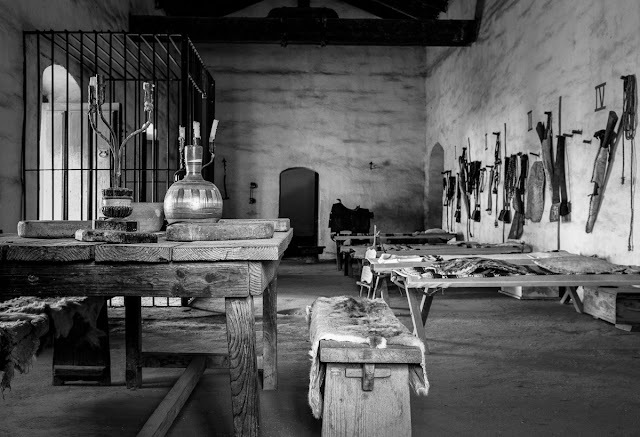 The Barracks Room. 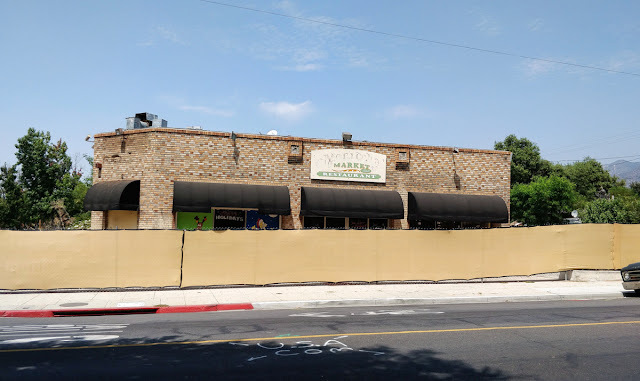 This was taken through a window, but you can partially enter through the front door as far as that metal cage will allow. Table setting and what look like spears against the wall in one of the rooms. A fountain on the grounds. The current State Historic Park has 1,928 acres and about 25 miles of hiking trails. 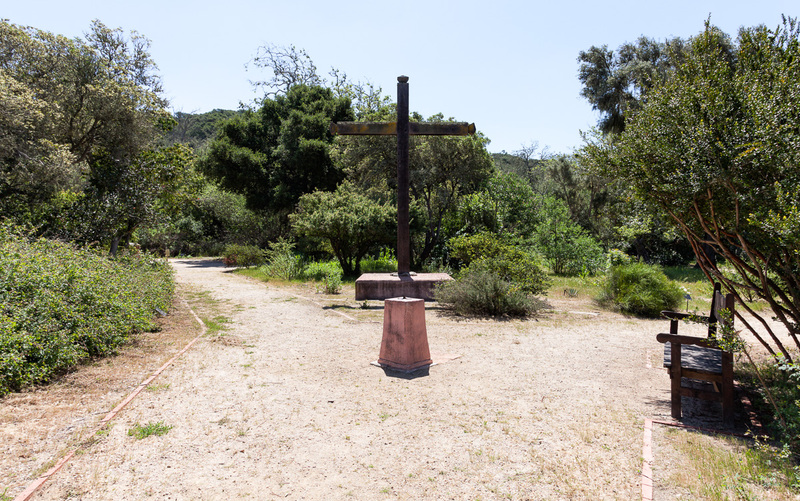 This being a Catholic Mission at one time, there are lots of crosses to be found. 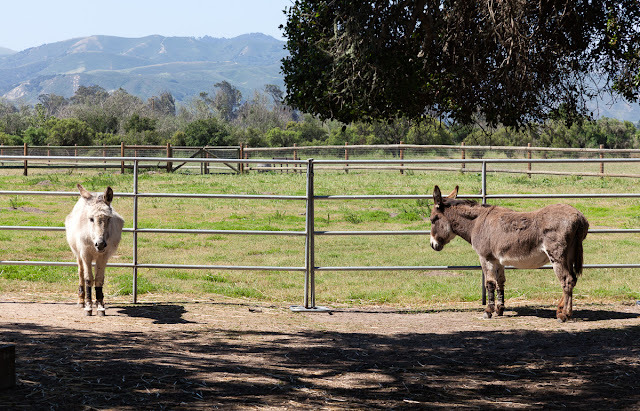 The Mission has horses, burros and other period appropriate animals in the corral. 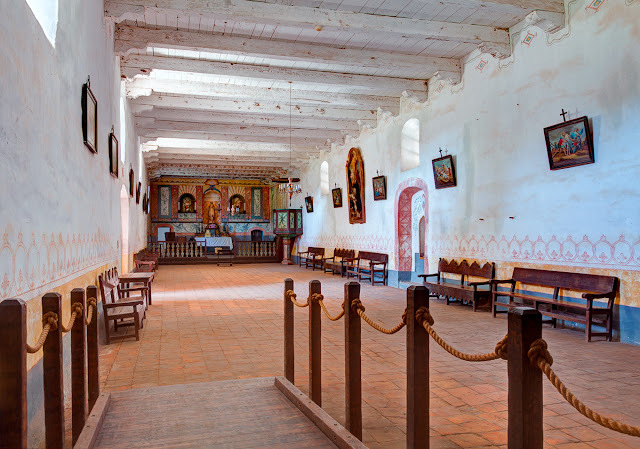 This is my favorite of the missions that I've visited because it's so large and there are so many places and rooms to explore. I haven't even made it out on the hiking trails yet. 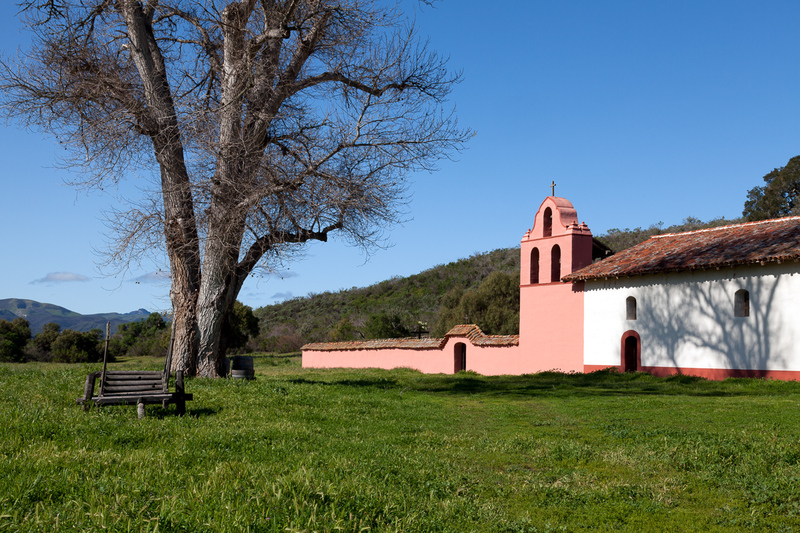 An added bonus is that Mission Santa Ines is only about 18 miles away in the city of Solvang, which is a nice place to visit itself. There is also a large, modern visitor center next to the parking lot with exhibits and a lot more information. 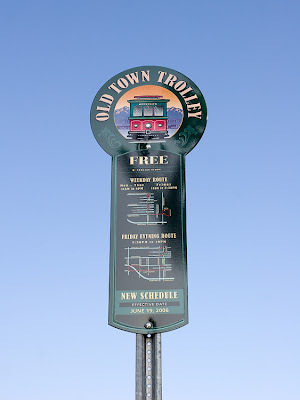 Entrance fee is $6.00 per car, buses extra.